Oh, Well I ended up buying EM 2016 for £4.99. Must be becasue I owned EM5. But why sell it defferently if its also an update in EM5? Confusing but nvm. What I don't understand is that they say it is an Update for EM5 yet you have to pay £20 for the damn thing. I will start work on this now. Mod not being Accepted by Admins? Self made sirens from a Whelen 295SLA100 Goes best with the Miami mod and Los Angeles Mod but still works great in all others! Enjoy! All sirens were made from my own personal Carson SA441, V1.0 All Unit Categories i.e Police - Fire- EMS --Have different sirens!!! Enjoy! 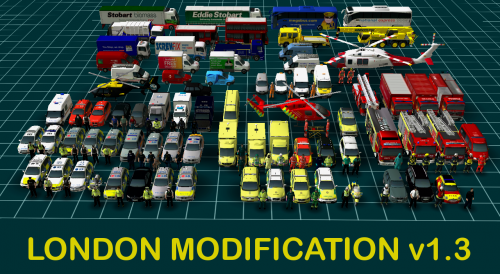 Nice work guys the mod is progresing well Will the mod have fire fighters with medic unit like in la mod. are u going to add riot police???????????? ?